Asynchronous Transfer Mode (ATM) is a protocol that allows data, sound and video being transferred between independent networks via ISDN links to be supplied to, and interpreted by, the various system protocols. 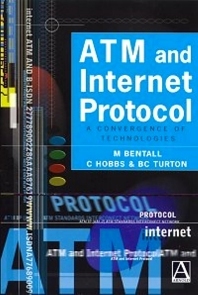 ATM and Internet Protocol explains the working of the ATM and B-ISDN network for readers with a basic understanding of telecommunications. It provides a handy reference to everyone working with ATM who may not require the full standards in detail, but need a comprehensive guide to ATM. A substantial section is devoted to the problems of running IP over ATM and there is some discussion of Frame Relay.